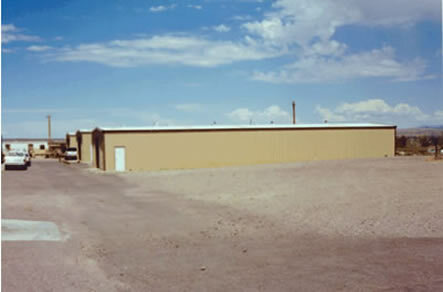 These publicly available facilities contain more than 20,000 boxes of New Mexico core (oil & gas core and mining core), cuttings from more than 16,000 wells in New Mexico , logs from 50,000 New Mexico wells, maps of frontier and the lesser productive counties showing locations of oil & gas exploratory wells, and other useful subsurface geologic data. These libraries are an important source of geologic and engineering information regarding exploration for, and development of, oil and natural gas, water, coal, uranium, carbon dioxide, and helium in New Mexico. The Subsurface Library is used extensively by industry, students, state and federal agencies, the general public and by our geologists. Several hundred visitors and telephone inquiries are received each year. A brief description of our collections and their uses can be found here in this Earth Matters article. Data elements on file include: well cuttings (15,000 wells), well records (100,000+ wells), drillers logs (17,000 wells), electric and other geophysical logs (50,000 wells; some with mudlogs), sample descriptions and sample logs (4,300 wells), petroleum exploration maps that show well locations in frontier counties (26 counties), pool maps that show locations of producing oil and gas pools by stratigraphic unit (personal digital version available as New Mexico Bureau of Geology and Mineral Resources Circular 209), production data, geologic maps, petroleum-related publications, and a limited number of core analyses and drill-stem test records. Facilities and microscopes are available for cuttings analysis, and worktables are available for visitors. Photocopies of records such as well logs and petroleum exploration maps may be obtained at nominal cost. Arrangements can be made to borrow cuttings and cores upon payment of shipping costs and arrangement for shipping. Please contact Annabelle Lopez at the Subsurface Library for more information; Annabelle is the curator of our core and cuttings collections. Companies and individuals who wish to donate cuttings, cores, logs, or other information to the Subsurface Library are asked to call, email or write. Donations are always welcome and most of our materials have come from donations of generous companies and individuals. Because our collections continually grow, there may be material available that is not listed in the lists provided by the above links. If there is something you want but do not see on the lists, please contact Annabelle Lopez, Amy Trivitt-Kracke or Ron Broadhead. Three of our new modern, steel core buildings located on the New Mexico Tech campus in Socorro with interior photos of core and core storage. Each building holds tens of thousands of feet of core, an irreplaceable resource for study of the earth and its processes. Our new cuttings facility has an extensive storage area and a laboratory facility for cuttings examination and sample processing. Our cuttings library is housed in a new steel building that was erected in 2015 as part of the construction effort that produced our new Bureau of Geology building. The cuttings library houses almost 51,000 boxes of drill cuttings from more than 16,600 drill holes. These represent 150 million ft (28,400 miles) of drill hole, which if set out end to end would wrap around the earth 1.14 times. Oil & gas, minerals exploration, and water well drill holes are represented. 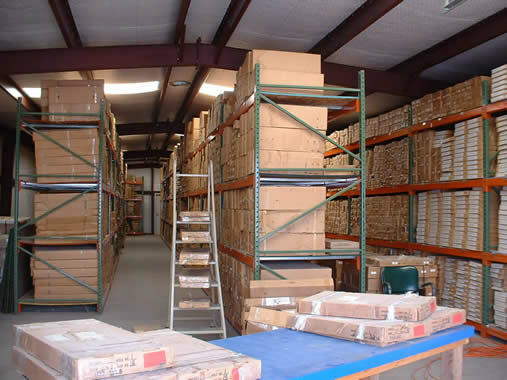 Our new facility gives us room to expnad our collections. The library contains an examination room, microscopes, a black-light UV box, a sample processing area and other equipment essential for cuttings examination and analysis. Almost all of the cuttings come from New Mexico wells although a small number come from bordering areas of adjacent states. The latter are helpful because geology does not stop at state lines. A map of the locations of cuttings within New Mexico can be found in this Earth Matters article. An Excel spreadsheet of the cuttings in our collection can be accessed here (cuttings list). Companies and individuals who wish to donate cuttings to the Cuttings Library are asked to call or write. The purpose of the Core Library is to have available for study of representative cores from rock formations in different parts of New Mexico. The Core Library consists of six warehouses, a processing area, and tables for examining core. Microscopes are available for visitors' use. We allow samples of cores to be taken provided that at least one-half of the core remains for future examination and that copies of any analytical reports be shared with us. All sampling must be approved beforehand. In addition to the cores, location information, geophysical logs, drillers' logs, and other material are available for many holes. A box of slabbed core from a natural gas reservoir in the San Juan Basin of New Mexico. More than 4,000 cores donated by over 100 different companies and other organizations are ready for examination. More than 540,000 ft (100 miles!) of drill core are present in our collection. The age of units in these cores ranges from Precambrian to Holocene. Archived core is representative of oil, gas, coal, mineral, geothermal and water exploration wells in New Mexico. A map showing the locations of cores in our collection may be found in this Earth Matters article. An Excel spreadsheet of the core in our collection can be accessed here (core list). Companies and individuals who wish to donate core to the Core Library are asked to call or write. A limited number of porosity and permeability analyses of cores are available as scanned images in PDF format. These scans are of oil and gas core analyses that are in our collections and many contain ancilliary information such as oil or water saturation. We have accumulated several petroelum source rock analyses made on cuttings, cores, and outcrops throughout the state. The most substantial part of these were made as part of our Petroleum Source Rock Project. Other major sets of source rock analyses were made as part of Bureau research projects. Yet others come from private entities that perform source rock analyses on our drill cuttings and cores. In return for allowing a limited number of destructive analyses to be performed on samples from our collections, we require that copies of the analyses be placed with us; after a confidentiality period of one year the analyses are made public. For a listing of petroleum source rock analyses, please click here. During the past few years we have received donations of more than 11,000 boxes of core from Amoco, Altura, and El Paso Energy. In addition, we have acquired a substantial portion of the Shell Oil Co. New Mexico core formerly stored at Texas Bureau of Economic Geology facilities in Austin, TX and in Midland, TX. We also receive smaller donations of core and cuttings from numerous entities throughout the state, including oil and gas operators, mining companies, and government entities such as the U.S. Bureau of Reclamation and the City of Albuquerque. These donations, as well as our extensive cuttings and log libraries, establish our facility as the premier facility for subsurface geological and oil and gas data for the state of New Mexico. Our staff fields questions from industry geologists and engineers, the general public, and state and federal oil & gas professionals on a daily basis. Our only substantial source of funds to erect new buildings for core storage is through donations. We hope that you will consider donating money for this worthy purpose in order to save New Mexico core within New Mexico and place that core with an organization whose employees understand the use and geology of the core. As a public educational institution, donations may be tax deductible. At present, it costs more than $250,000 to construct a 30 by 100 ft insulated and ventilated steel core building and equip it with sturdy shelving and other necessary equipment. Please help us preserve New Mexico core and keep New Mexico core in New Mexico. Please consider making a donation if you have utilized our facilities and found them useful. Financial donors to our Subsurface and Core Library facility include Altura, Amoco (BP), Ceja Corp., Chesapeake Operating, Chisos Ltd of Deming NM, Conoco, Cross Timbers Operating, The Cuesta Foundation of Oklahoma, D.J. Simmons Inc of Farmington NM, El Paso Energy and Louis Dreyfus Natural Gas. Our user fees are very low and are used to defray costs associated with student assistants and expendable materials and supplies. We have also designed and built our facilities so that maintenance and upkeep costs are near zero. This keeps costs down. Orders for well logs should include as much of the following information as possible for each log ordered: location of the well in terms of section, township, range, and county; name of the person or company that drilled the well, well number, and lease name. At present we are not able to provide LAS digital log files. 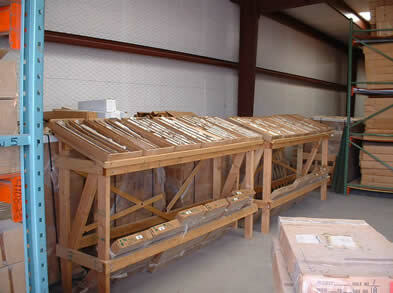 Mail order means that we ship the cuttings or core to you for inspection.